The consummate musician, a Master of Guitar from Rotterdam Conservatory and the University of Utrecht, Marcel displays a beautiful yet driving combination of sophisticated European refinement and vital Latin rhythms. His music is at once both beguiling and exciting. The rhythmic complexity and the textural beauty of Marcel's playing displays a developed guitar technique that is original and provocative. 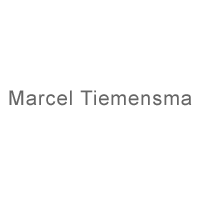 With a lifelong fascination for the Spanish guitar and desire to know fully its music, Marcel began his formal training in 1982 within the Rotterdam Conservatory. His emphasis was on classical guitar, as well as arranging and conducting. His training was rooted within the legacy and the direction of the master Andrès Segovia. Marcel's musical lineage directly springs from this grand master through both of Marcel's mature guitar instructors. His tutor, Antonio Pereira-Arias (whom he met through his private tutor Freek Dicke), from the Royal Conservatory in The Hague was a student himself of Andrès Segovia. Marcel's master teacher at the Rotterdam Conservatory for eight years, Jorge Oraison, was a student of the Spanish master José Tomàs, who himself was a student of Andrès Segovia. For over 20 years Marcel has been performing throughout Europe as well as within the United States. He has captivated the hearts of audiences from small concert halls to large theaters in both small group, as well as solo performances. He remains in demand as a studio musician as well as by popular artists as a stage musician.